On January 4, 1998, a beautiful baby was born in Sta Clara, California. Her name is Hope Elizabeth Soberano. She was meant to change the way we see beauty as she has one that will capture not only the eyes of the Filipinos who appreciates perfect looks like no one else. She was also noticed by the foreign press and fans because of the natural appeal that this pretty baby exudes. Hope Elizabeth Soberano or more popularly known today as Liza Soberano was born to wow the audience. She had an aura that differs from all other young teens her age. Today, her fans woo her not only because of being a talented young actress model, but she also caught everyone’s attention because of her simple and timeless natural beauty. No one would disagree that she is on top of the most beautiful young actresses of today in the Philippines and the world. Liza Soberano is the other half of the popular loveteam LizQuen. Paired with her equally young talented match, the actor Enrique Gil, they are a perfect combination. Together, their loveteam makes an unbeatable box office pair not only on television but also in films and stage appearances. Fans can't seem to get enough of the chemistry that these two young and talented pair had. Liza was born in California to a Filipino father, John Castillo Soberano and an American mother, Jacqulyn Elizabeth Hanley. For ten years, Liza lived in the United States and was raised by her paternal grandparents when her parents separated. From Sta Clara, Liza moved with her grandparents in Visalia, California. In 2008 when Liza was 10 years old, her parents decided to move Liza, together with her brother JustinDavid, to the Philippines to live with her father and from here, a door opened for showbiz appearances. This young lady was introduced to us, Pinoy fans, a few years from then on. Moving to Manila was a big challenge to the young Liza and her brother. From the different environment they were living in, the food that tasted new to their tongues, to hearing a different language from the one they were born to, Liza and her brother seemed to be in a land where no one knows they existed besides their relatives. But even though Liza was a new stranger in her father’s hometown, her natural beauty wasn’t taken for granted. She became easily noticed of her charm and natural beauty. 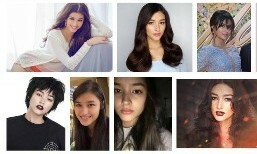 In 2010 at 12 years of age, Liza was offered modeling jobs for print ads. This paved her way to be discovered by talent manager Ogie Diaz and introduced her to the mad world of Philippine entertainment scene. To date, 2018, Diaz remained as Liza’s loyal and proud talent manager. Diaz advised Liza’s father and relatives to encourage the then 13 year old young lass to speak Tagalog fluently. The purpose of which is for her to get good acting jobs in any television network or may be work on films. Even though she carries the face that would be every young boy’s fantasy and young girl’s envy, it wasn’t an easy ladder to climb for this young actress. Liza accepted to act on bit roles and tv guestings until she landed a role in the ABS CBN’s fantasy drama anthology ‘Wansapanataym’ and made her acting debut in 2011. It was followed with a minor role in the 2012 afternoon drama series ‘Kung Ako’y Iiwan Mo’ starring Jake Cuenca, Shaina Magdayao, Bangs Garcia and Ron Morales, where she played the character of Claire Raymundo. During those days, Liza used Hope Soberano as her screen name. On March, 2013, Liza made her film debut via the coming-of-age romantic comedy film ‘Must be … Love’ starring the most popular young loveteam of Daniel Padilla an Kathryn Bernardo. In this film was also the first time Liza and Enrique crossed each others paths. On that same year, Liza landed a role as Gillian in Star Cinema’s 20th Anniversary presentation ‘She’s the One’ starring Bea Alonzo, Dingdong Dantes and Enrique Gil. Liza’s tv guestings and appearance continued to make the young talent busy and producers were starting to notice the young actress talent and most specially her beauty and chemistry with Quen, The King of the Gil. 2014 would be the year that would introduce Liza not only to the Filipino audience but will open the door for her to be noticed by Filipinos and foreign audiences worldwide. Liza’s first project for the year was a role in the romantic comedy drama primetime series ‘Got to Believe’ that will reunite her with Daniel Padilla and Kathryn Bernardo. She played the character Alexa Rodrigo in this series. After her stint in ‘Got to Believe’, Liza landed a much coveted role to play the character Maria Agnes Calay in ABS CBN;s primetime romantic comedy television series ‘Forevermore’. This tv series will become Liza’s breakthrough role and the making of the now very popular LizQuen tandem. It was formed when she was reunited with the other half of the love team, Enrique Gil who played the character Xander Grande, Agnes Calay’s love interest. Directed by Cathy Garcia-Molina, ‘Forevermore’ became a primetime hit that even the the fictional La Presa place in Benguet is now a popular tourist attraction. The popularity of the tv series made a big impact in Liza’s career that after ‘Forevermore’, her popularity’s only way is up. Projects after projects only made Liza more popular not only with the young but so with the oldies alike. And it was also in this popular series that Liza’s natural beauty came unnoticed by popular celebrities from award winning celebrity photographers to international designers. Liza was given the title ‘The new Paraluman’ after the great Filipina beauty Paraluman. She was also dubbed as ‘one of the most beautiful faces in Philippine Television and movies.’ But the humble Soberano shy away from all the accolades she’s been receiving but wishing that the fans will also notice her talent in acting. Little did Liza knows, film critics have been watching her rise and again she her talent didn’t went unnoticed. Her performance in the film “Everyday, I love You’, was seen as a threat to premier actresses that at a ripe age of 17, Soberano’s game is not only to be the prettiest but also the most talented actress now. "Liza Soberano won the Most Promising Female Star during the 46th Guillermo Mendoza Memorial Scholarship Foundation"
Because of the popularity of the LizQuen tandem, Star Cinema gambled and gave them to star in the romantic comedy drama film ‘Just The Way You Are’ and the gamble paid off hefty sum to the producers. The film earned P100 million with P12 million of it on its first day. After the success of ‘Just the Way You Are,’ the LizQuen tandem became even more unstoppable. 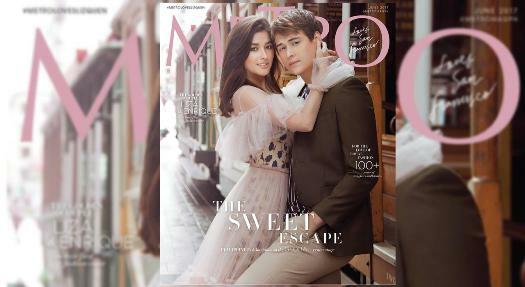 Their next project was the critically approved romantic drama film ‘Everyday I Love You.’ Again, a box office hit for LizQuen earning P178 million with P16 million on its first day. The movie sealed the niche for the tandem LizQuen of not only a cute and beautiful love team, but a serious acting team know today to give their fans good quality films worth their pockets. The next project for LizQuen is the 2016 romantic comedy melodrama primetime series ‘Dolce Amore’ teleserye and the 2017 romantic comedy drama ‘ My Ex and Whys’ that will reunite them with their ‘Forevermore’ director, Cathy Garcia Molina. In 2017, ABS CBN and Star Cinema confirmed that Liza is set to fly as the newest Filipina super hero ‘Darna’. The movie will be directed by the award winning director Erik Matti. The film is set to be released in 2018. Liza replaced Angel Locsin who needed to back off from the project because of her recurring back injury. 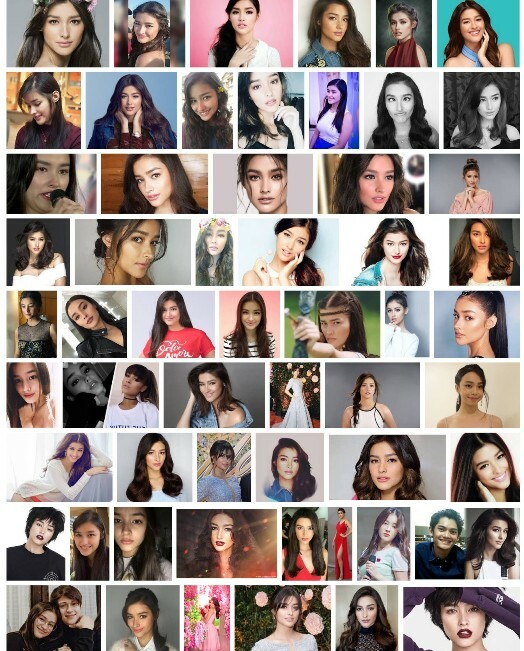 From 2011 until today, Liza’s career is unstoppable. But the young actress has more plans not only for her career but also to attend to some of her personal dreams. And one of it is to finish college. Liza always dreams to study law and wanted to study psychology as her pre-law course. But because of her successful busy career schedule, she opted to study online to get a degree in business management at Southville International affiliated with Foreign Universities. Liza’s next project with ABS CBN is the supernatural action fantasy romantic epic drama ‘Bagani’ that will team her up again for the 7th time with Enrique Gil. With all the success that she has been receiving, Liza’s only wish is for the fans to see her not only as a pretty face but will notice her as a serious actress and wants to become a role model for young Filipinos to never give up your dreams. Liza was just a 10 year old Filipino American girl when she first stepped her tiny feet on Philippine soil not knowing that this little tyke will become one of the most beautiful and talented young actresses now who has a big feet to fill in to be a good sample for the young Filipinos. Are you a fan and did't get more of what you expect about the daily updates of your idol, Liza Soberano? Here are a variety of ways you can get in touch and learn the latest happenings about Liza for her upcoming tv appearances, hosting stints, guestings, latest movies, teleserye and daily musings. Find and follow her on her official Facebook, Instagram, Wattpad and Twitter below.